Enhanced Abilities: Draaga has upper level super human strength and endurance. Draaga was an alien warrior and the favoured combatant of Warworld in service to Mongul. 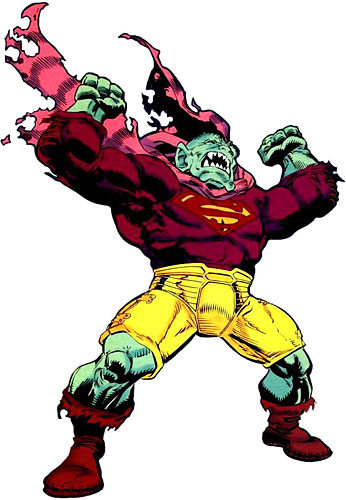 Draaga participated in many of Mongul's gladiatorial fights and was the undisputed champion until the day that Superman came to Warworld. Superman defeated Draaga, but refused to take his life (as per the terms of the contest). Rather than showing gratitude however, Draaga was furious. He felt that Superman's decision to spare his life was an insult to his honour. Draaga committed himself to avenging his honour by one day defeating the Man of Steel.